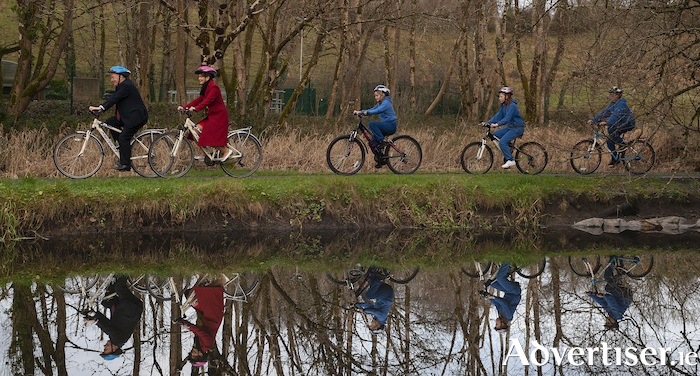 Michael Ring, T.D., the Minister for Rural and Community Development, has today (Tuesday ) announced that he has allocated €800,000 for four walking and cycling trails in Mayo under his Department’s Outdoor Recreation Infrastructure Scheme (Measure 2 ). Today’s announcement is part of a national allocation of almost €11 million for 78 projects nationally. The following projects in Mayo have been allocated funding: (1 ) Great Western Greenway - €200,000 for major essential trail work in Kilmeena and Turlough; (2 ) Achill Island Greenway - €200,000 for bridge crossing and approach works at Achill Sound; (3 ) The Way - A Spiritual Journey - €200,000 to Construct a new Riverside trail at the Bowers Walk in Ballinrobe and (4 ) Bangor Trail and Erris Access Bridge - €200,000 to upgrade and plan suspension footbridge. Speaking at the official announcement at the Museum of Country Life in Turlough Park House, Minister Ring said: "I am delighted to allocate €800,000 for these four walking and cycling trails in Mayo. This investment will provide the people of Mayo and those who visit our county with a wonderful way to experience our outdoor areas. “We are blessed with wonderful natural beauty here in Mayo and the Government has invested heavily in recent years in providing local walks, trails and greenways in scenic areas throughout the county. I strongly encourage people throughout Mayo to get out and enjoy these wonderful facilities. “Today’s allocation follows on from more than €700,000 which I have previously allocated for 12 amenity projects in Mayo under Measures 1 and 3 of the 2018 Outdoor Recreation Infrastructure Scheme. I look forward to opening the 2019 Scheme in due course. “The trails being funded in today’s announcement make Mayo a more attractive place to live in and to visit. My role as Minister for Rural and Community Development is to support rural life and livelihoods. By allocating this funding, I aim to help enhance the quality of life for people living in Mayo and to help to attract more visitors - which provides such an important economic benefit to the county.